(Lincoln City, Oregon) – A Lincoln City is a Lincoln City by any other name, right? 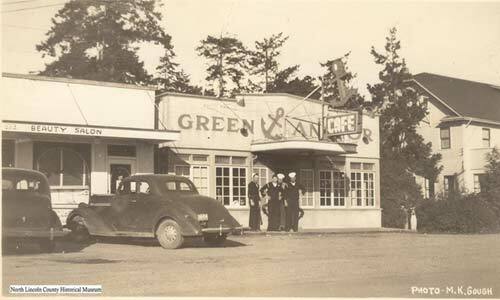 (Photo above: Lincoln City around 1940, courtesy North Lincoln County Historical Museum). Well, maybe. Probably. 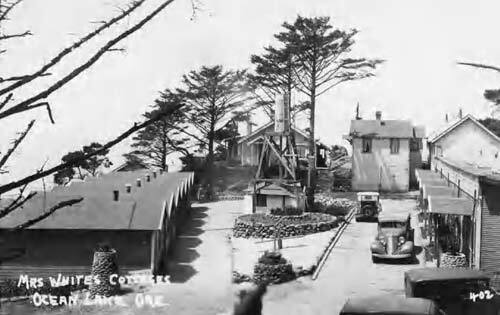 The central Oregon coast hotspot of Lincoln City had quite the bumpy, winding and twisting beginnings a little over half a century ago – something that was covered in part one of this series: Lincoln City Formed from Six Small Towns: Intricate Oregon Coast History. Part two covers how the city got named during this tenuous process, and it’s a story that continues today. The North Lincoln County Historical Museum in Lincoln City provided a wealth of documentation on the subject. Deciding upon the name of Lincoln City is its own awkward, rambling historical tale. 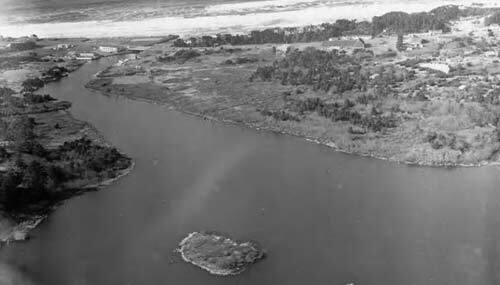 It all began with talk of consolidating five little beach burghs into one bigger one, as far back as 1948. In 1964, the town was finally formed from the joining of tiny neighboring communities that went by the names of Taft, Oceanlake, Delake, Nelscott and Cutler. In fact, those names still adorn their former villages but are now called neighborhoods or sections of town by those monikers. Other areas once separate that were never incorporated into towns still go by the neighborhood names of Wecoma, Neotsu or Road’s End as well. The very first discussions of melding all the little areas into one town happened in a Legion Hall in Taft right after the war – in late 1948. Even then, the favored moniker was Lincoln City, and there’s a some evidence in the documentation that city founders would stick to that no matter what, in spite of public input later on. Not all were in favor of that name, however. Editor of the North Lincoln County News, Jerry Stitter, immediately railed against the name. He published an editorial on December 6, 1948 that was highly critical: a foreshadowing of what was to come. Back in 1948, at the very beginning of the discussions, Stittser said that suggestion was “too hackneyed,” meaning far too common. He noted there were already so many places in America with Lincoln in their names. He suggested Grand View, since that had been a potential name for the area around Schooner Creek back when settlers first arrived in the 1880s. He reaffirmed this argument by pointing out residents had a “grand view of the sea and of the lofty timber-mantled hills or of the placid waters of Devil’s Lake” (according to an article in 2000). The first vote by the small communities on the possibility of joining into one happened in 1949 or so, and it went down with an almost three to one margin. In 1955, the little community of Wecoma was annexed by Oceanlake after a bitter fight. That anger, coupled with financial issues in some of the five communities that had incorporated, created another movement to consolidate. By 1964, that election process was underway. Still, residents were far from convinced of the handle of Lincoln City as the electoral decision started kicking into gear. According to a News Guard article in 1999, quoting then-North Lincoln Historical County Historical Museum curator Katrina Pool, she (among other sources) say there were contests held for the public to decide the new name for the proposed town. The News Guard and radio station KBCH ran the contest in March of 1964, which brought in over 300 potential names. A committee then narrowed them down to five choices: Miracle Beach, Miracle City, Surfland, Holiday Beach and Lincoln City. Like Stittser, much of the public objected to it too, based on the same reasons of lack of originality. The committee had the final say, and it struggled with “Lincoln City,” which had won the public contest by two to one, and Surfland, which the majority of the school kids in the area were fond of. Somehow, the comment that Surfland was too “honky tonk” made by someone tipped the scales and it was dropped in favor of Lincoln City. Yes, the town was nearly called Surfland, Oregon. The first vote on consolidation was held in May of ‘64 and failed by seven votes. The second one passed in December of that year. 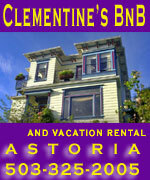 By then the controversial handle of this Oregon coast town was solidified. Still, as one historian put it: “it was a non-controversial solution to the often thorny surviving name problem.” No one was happy about the entire city adopting the name of the one of the smaller towns that comprised it. The name problem did not go away. For decades. In March of 1967, the News Guard wrote about another movement by disgruntled residents to change the name of the Oregon coast burgh. This time, polls taken by the newspaper found 116 wanted to keep the name while another 102 wanted to change it to Lincoln Shores. Obviously defeated down the line, the article has a special cutout poll – like the coupons of old - to send in to city managers stating whether you were or were not in favor of an election on a name change. The idea popped up again in 1999 as Newport’s Steve Wyatt – head of the Oregon Coast History Center - wrote an article about past renaming issues. In 1999, the favored name was “Beach City.” The idea was revisited once more in 2015, but again nothing came of it. It makes you ponder what might’ve been. If the multiverse theories of physics are correct, somewhere there are universes out there where there’s a Surfland on the Oregon coast, a Beach City and maybe even a Grand View, Oregon. Above: Lincoln City in the '30s (at top), Lincoln City in 1969 at bottom.